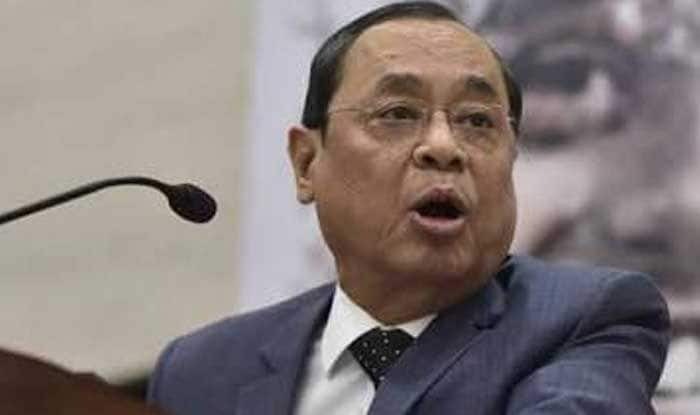 New Delhi: Chief Justice of India (CJI) Ranjan Gogoi on Friday reconstituted the bench hearing Ayodhya title suit. Justice Ashok Bhushan and Justice Abdul Nazeer have now been included in the apex court bench, which comprises Justices SA Bobde and DY Chandrachud. The Supreme Court will hear the matter on January 29. Earlier, Justice U U Lalit, who was part of a five-judge Constitution Bench to hear the Ram Janmabhoomi-Babri Masjid land title dispute matter, had recused himself, prompting the Supreme Court to reschedule the hearing on January 29 by setting up a fresh bench. He had ‘expressed his disinclination to participate in the hearing any further’ and opted himself out of the contentious matter.